« Please Welcome Chris Hauty! 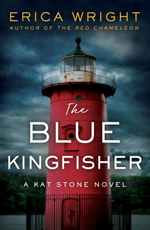 Wright talked to The Big Chill about the sharks, jellyfish, and other colorful characters that populate Kat Stone’s New York – check it out here! And be sure to catch her on tour this fall. This entry was posted on Wednesday, October 10th, 2018 at 10:37 am and is filed under Uncategorized.